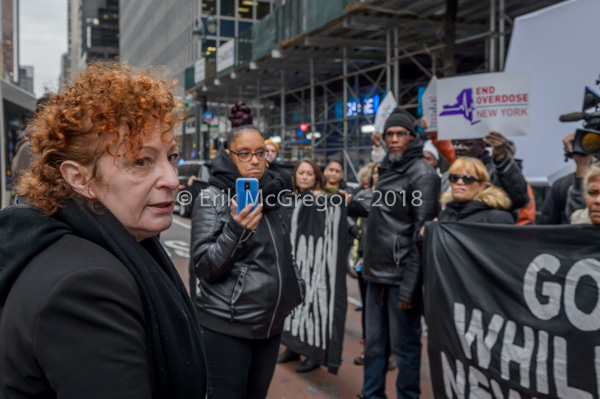 New York, NY – Artist/Activist Nan Goldin, P.A.I.N Sackler, and drug policy activists set up a pop-up safe injection room and held a speak-out in front of Governor Cuomo’s NYC office on November 26, 2018. 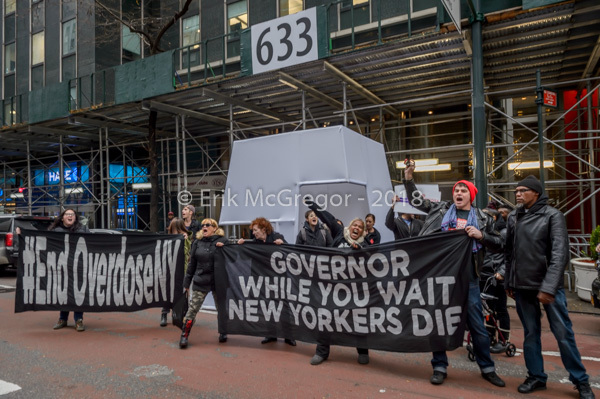 Activists stood united in anger as overdose deaths continue to increase, while the Governor refuses to move forward with this life saving intervention. 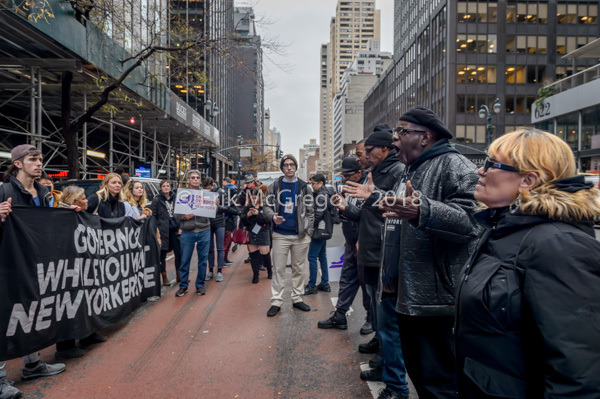 The group reminded Governor Cuomo that they are prepared to use the same aggressive tactics that ushered the city’s historic announcement to garner state unity, including civil disobedience. 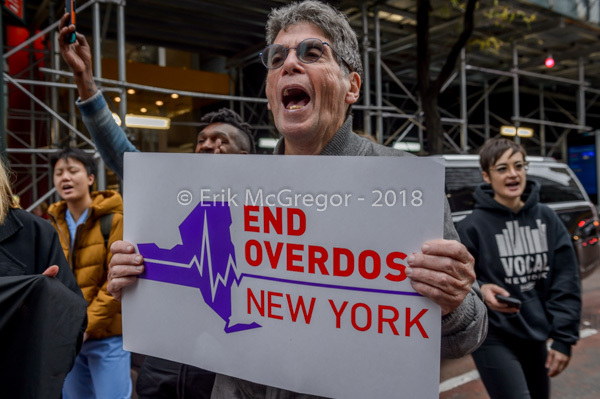 After an aggressive campaign, activists pushed Mayor de Blasio to support piloting four NYC Overdose Prevention Centers. 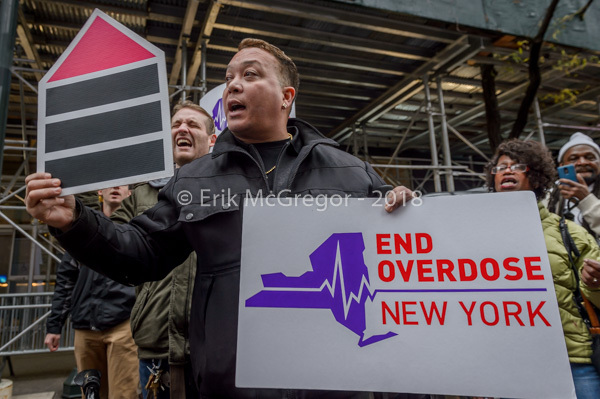 In 2016, Ithaca Mayor Myrick introduced the Ithaca Plan, which also voiced support for a overdose prevention center pilot. 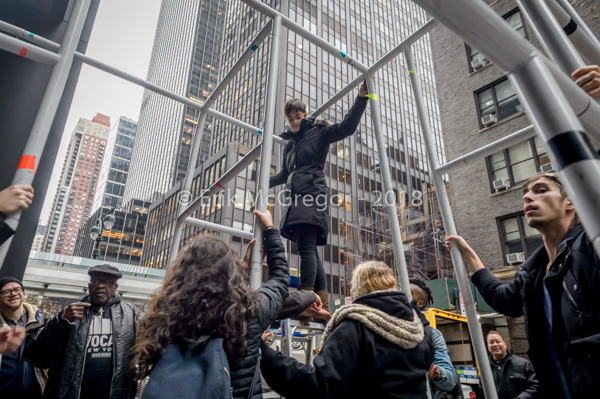 For the last six months, the two cities have been waiting for New York State’s Department of Health to approve the pilot. 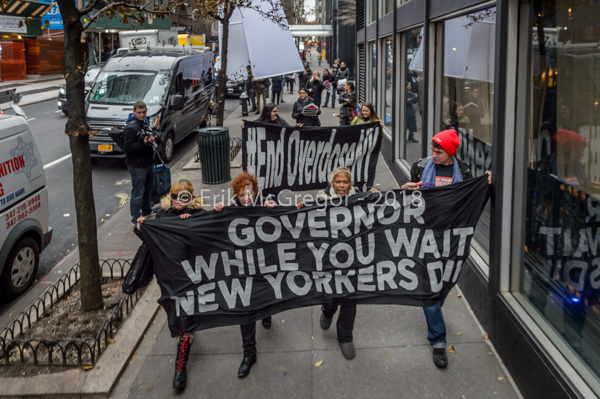 While Governor Cuomo signaled his support for the centers during the Gubernatorial debate, his stalling post-election suggests he’d rather play politics rather than be an innovative leader on the overdose crisis. 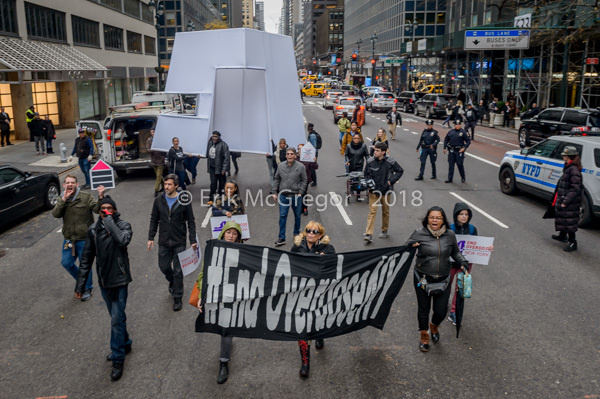 After years of OxyContin use and a nonfatal overdose from fentanyl, artist Nan Goldin turned her anger to activism by targeting the Sackler family and calling out their influence on the crisis. 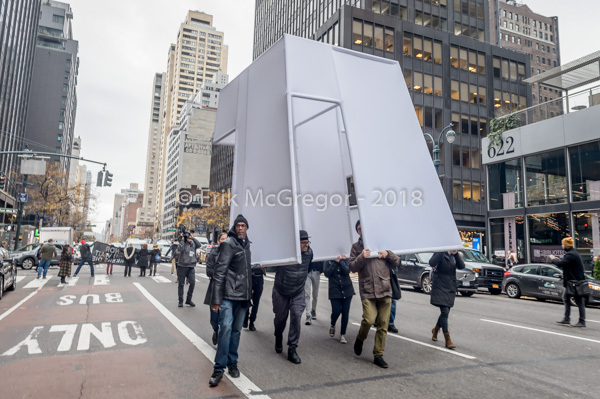 Goldin and the activist group she founded, P.A.I.N Sackler, have staged multiple direct actions in museums funded by the Sacklers, including the Metropolitan Museum of Art in New York City.